Google Assistant Service is simple AI designed by Google to provide human-machine communication service easier, now Google has made everything easy for the manufacturer companies in such a way that they can create custom commands when it being built in their products. Currently, devices with Assistant built-in are limited to universal commands that Google has set up on its own, like “on”, “off”, and “dim”. Although the additional functionality could be added via Actions that requires an extra step for owners every time they want to use it. 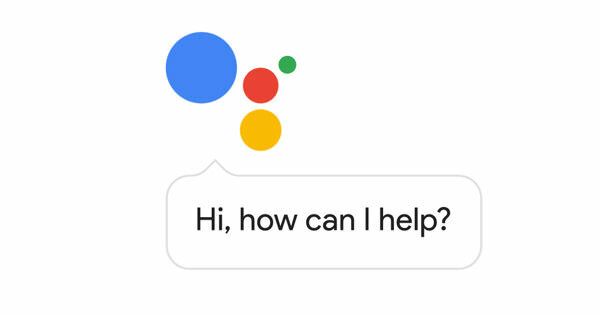 With Actions on Google, third-party developers can add an action that they want Assistant to undertake when given a voice or text command. According to The Verge, with this announcement, Google has handed off some of this work to manufacturers which would reportedly give the companies more flexibility and make Assistant more helpful. So the manufacturer of a smart dishwasher that supports Google Assistant could add a command to “start a hypercycle,” even though that’s not a universal feature found on other dishwashers, a report on the tech website said. LG has taken the advantage of this. Before now, users had to invoke an Action by saying “talk to LG” before issuing a command but now a user can directly say what he or she wants LG’s connected appliance to do making the process much faster and interaction more natural. Apart from opening up Assistant to custom commands, Google also announced other new features. Users can now have specific Assistant Actions send to them via notifications on their smartphones. Actions are also getting improved media playback abilities. Happy to see this update from Google, hope to have it working perfect on all Google product.